4 assorted alloy handles used in root canal treatment. 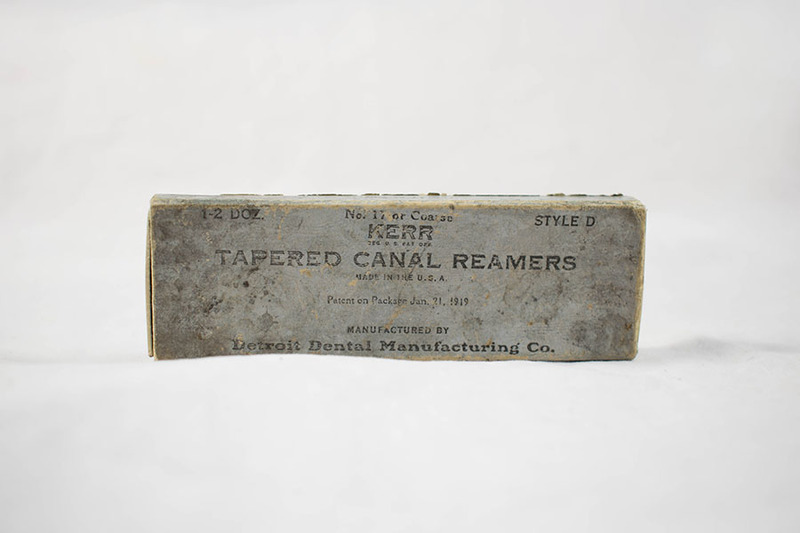 Pictured here is a box of tapered canal reamers, used by dentists during a root canal treatment. 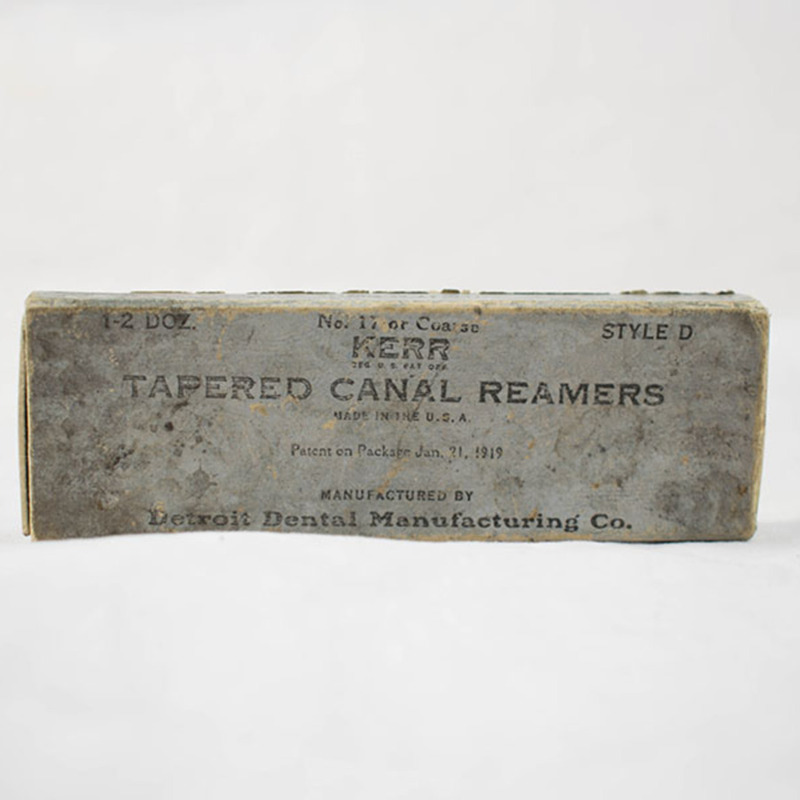 Detroit Dental Manufacturing Co.; 1891-1939; Dental equipment manufacturer, “Kerr's Tapered Canal Reamers,” Heritage, accessed April 25, 2019, https://heritage.rcpsg.ac.uk/items/show/127. 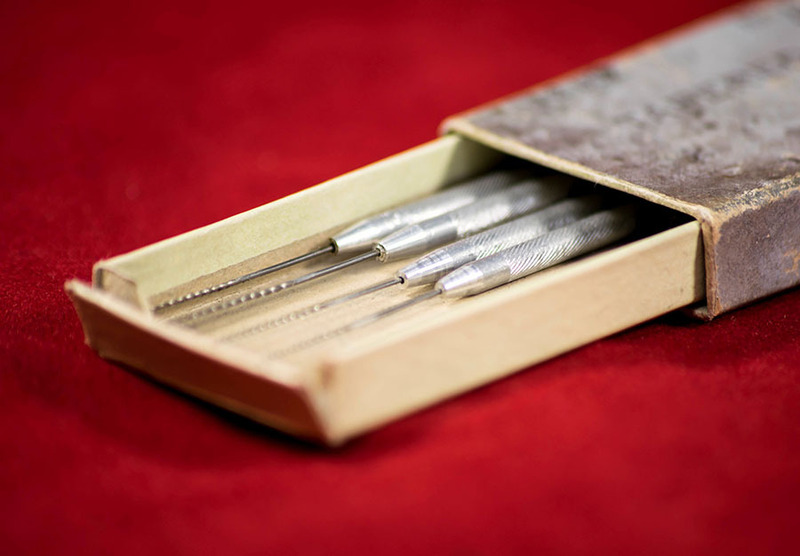 Description: 4 assorted alloy handles used in root canal treatment. 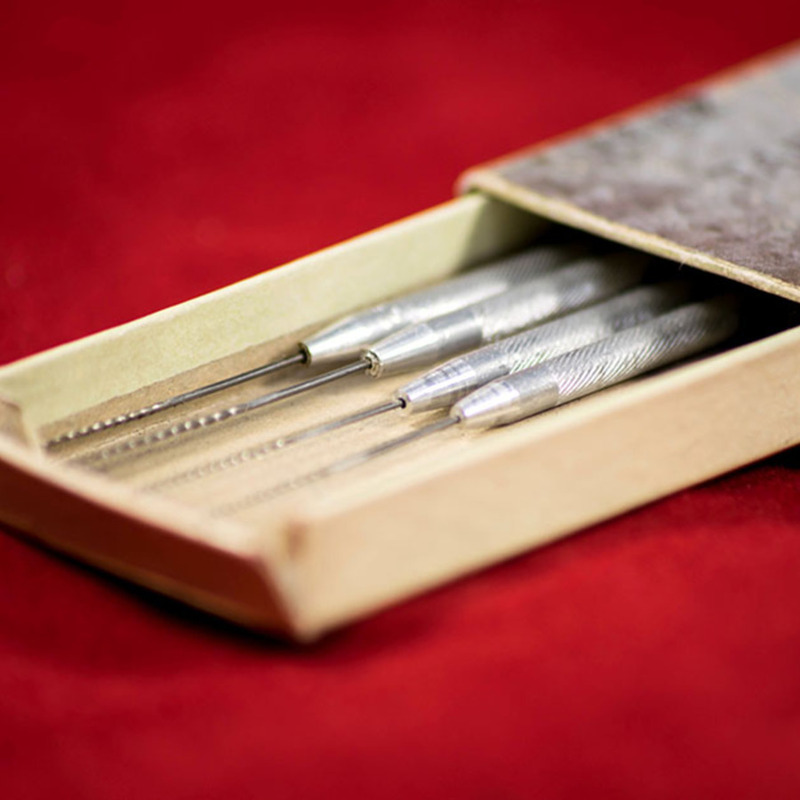 Pictured here is a box of tapered canal reamers, used by dentists during a root canal treatment.